Spinner comes out of retirement at 11 years of age to win Best of Breed in Canberra and earn the title of SUPREME Champion. Like always, he is the first Brittany in Australia to achieve this amazing feat. What a Brittany. 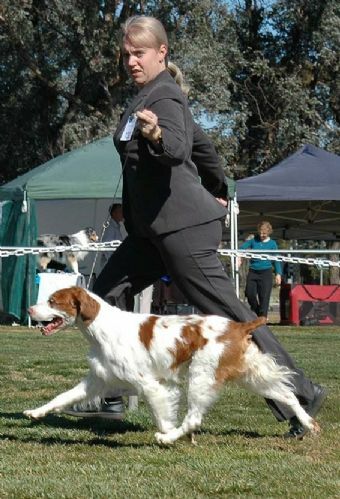 "SPINNER" IS THE FIRST BRITTANY TO WIN AN ALL BREEDS BEST IN SHOW AT A CHAMPIONSHIP SHOW IN AUSTRALIA. He was also Australia's First Multi BIS winner. 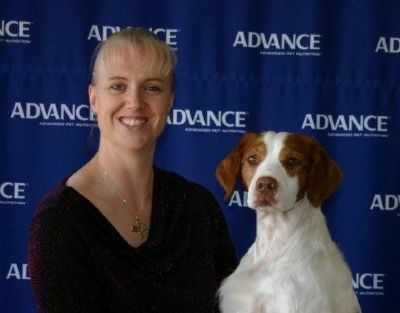 To date he has won four and has capped it off with the attainment of his Grand Championship and now SUPREME Ch Titles. With results like this it is no wonder that SPINNER is still Australia's most awarded Brittany at all breeds level, having now won BIS or RBIS in three different states of Australia being Victoria, Northern Territory and now New South Wales. 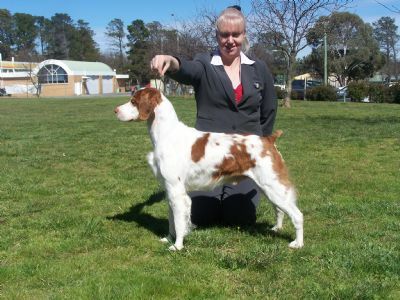 As far as mates go SPINNER is the epitomy of the Brittany breed. He is forever trying to please at both home and in the ring, and is the most loyal companion anyone could have.